Getting to the theatre on time seemed to be tricky last night as we arrived a few minutes late. Getting our seats there was a battle already started between The Rider and some men fighting over a boy. Saving this boy will be the premise of the movie as if he does the curse will be lifted for The Rider. 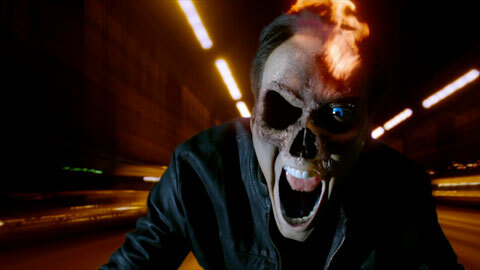 The Ghost Rider is played by one of the worst actors today Nicolas Cage, although his limits as an actor are well suited for these films as not much range is needed here for this part. 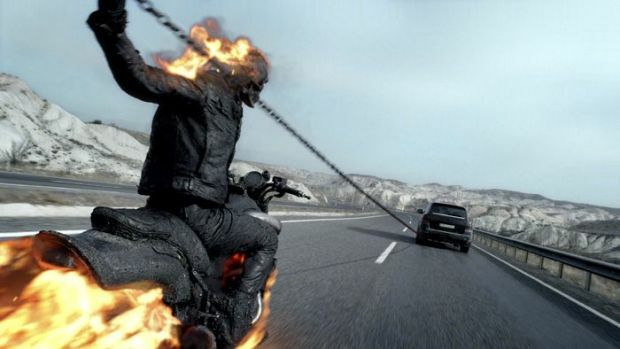 Visually speaking the movie has allot going for it, but sadly when The Rider is not in the film it is very bland and boring with the success of the first one I thought maybe there would be some other known actors here but this is clearly a vehicle to have Nicolas Cage shine. In the same respects Christopher Lambert makes an appearance as a monk where they find shelter from the evil. 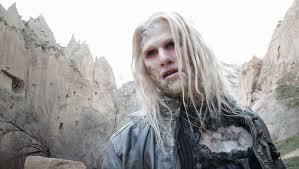 I found even when Ray Carragin(Johnny Whitworth)was saved and changed into a demon he had so many elements of the first group we saw in the first film, the long hair and if he touched something it would turn to ash. For the "Spirit" that this movie is supposed to have I found this to be another doom movie if the child is not saved all of Earth shall be doomed, that's fine but there was nothing really new here and the 3-D just makes up for what really is not there. This is coming from someone that started reading "Ghost Rider"when I was a teenager I enjoyed the first film allot this one was average at best.